For a limited time, head down to the U.S. to soak up the sun, or save on flights within Canada. Applicable to Basic, Econo and EconoFlex base fares. 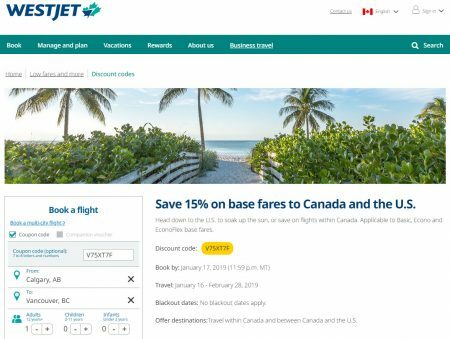 You’ll need to book by Thursday, January 17, 2019 at 11:59pm MT and enter discount code V75XT7F to get the deal. Offer destinations: Travel within Canada and between Canada and the U.S.